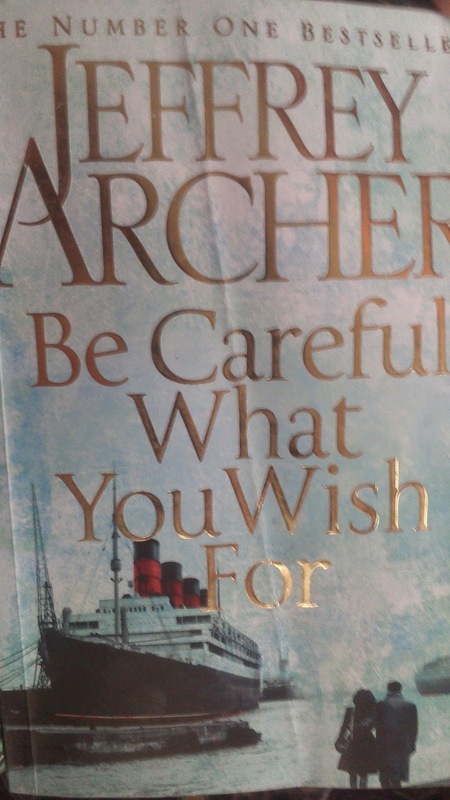 "Be careful what you wish for" is a half novel by popular author, Jeffrey Archer. I said "Half Novel" because the story is inconclusive. A novel should end with a logical conclusion, but this book is part of a series of books. Story ends abruptly, only to say "read rest of the story in next edition due in 2015".. I would have appreciated if the cover page or title offered some hint that this book is only part of the story. Something like Part 4 of 5 etc. Instead, after reading close to 400 pages, you're left high and dry, having to wait for next book due another year from now. In my opinion author could have have 4-5 stand alone novels, instead of a prolonged series. Unless you're very eager, you may wish to wait for sometime and buy this book next year. You might get some combo deals. Partly it is my mistake. I wasn't following the author closely. I'd read some of his earlier books- Paths of Glory (for which he'd come down to chennai), Sons of Fortune, Not a penny more-not a penny less etc. But before buying this book I didn't do much research. Wasn't aware that he is writing a series of books with interlinked stories. Having said that, let me write about the book, the part of the story it narrates. "Be careful what you wish for" is a plot that takes back 3-4 decades ago, when there were no cell phones and 1000 GBP an year was deemed decent fee for board of directors. Same plot will not hold good in today's times. Plot revolves around a family involved in shipping business and their rivals. Shipping Company's board need to make a crucial decision- invest a fortune in a new luxury liner which could either turn company's fortunes or sink it into bankruptcy. There're people who doesn't like the shipping company to succeed and they do everything they could- legal, political or otherwise, to ensure failure. First 50-100 pages are kind of slow paced, but the story picks steam in second part. This book doesn't explain why Martinez hates Cliftons so much- this part is reportedly covered in part 3 of the book. Similarly I am not clear how could hotel staff secure tickets for a sold out show by dropping a few family names. Similarly Clifton's family history and some other aspects can be fully understood only if you read previous editions. There's no clear marking on Jeffrey Archer's titles, so it is difficult to understand which book is which part and covers what story. One has to read multiple reviews to get that idea. Bad way to plan a book series in my opinion. 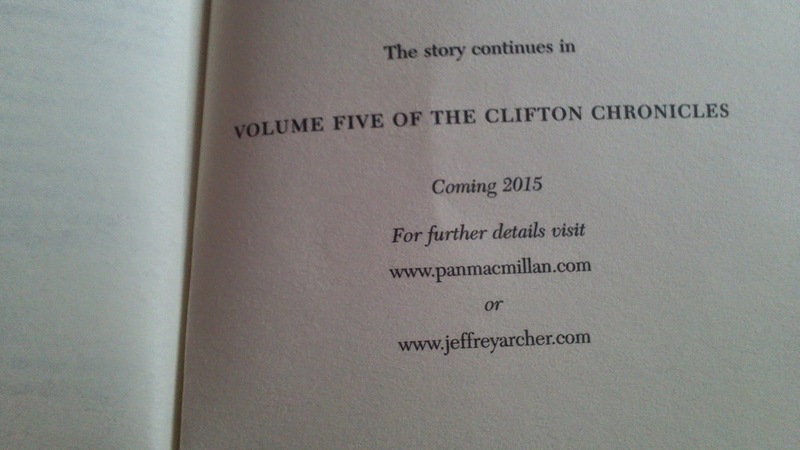 This series of book is from 2011,Archer published the first of five books in The Clifton Chronicles, which follow the life of Harry Clifton from his birth in 1920, through to the finale in 2020. Only Time Will Tell, is the first book in the series. I guess, you picked the novel with the Author and title in mind. If you had followed him, wouldn't have picked the book, unless read the others. His story telling is weakening. @Kavita. You're right. Partly it is my mistake. I wasn't following the author closely. I'd read some of his earlier books- Paths of Glory (for which he'd come down to chennai), Sons of Fortune, Not a penny more-not a penny less etc. But before buying this book I didn't do much research. Wasn't aware that he is writing a series of books with interlinked stories.